The Moto G7 will be bang right in the middle of the next-gen Moto G lineup. The device is expected to feature a 6.24-inch display with a teardrop notch, dual rear cameras, and a 3000 mAh battery. It’s been leaks galore for Motorola’s upcoming Moto G7 phones. The series has traditionally featured three devices but we’re set to get four models this time out. 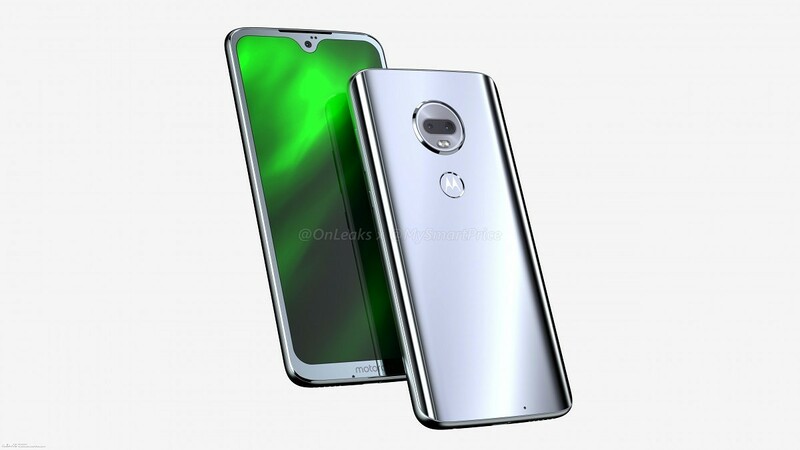 Details of the three of the four have been revealed over the past week, and information on the last one, the Moto G7, has finally surfaced. According to the source, the Moto G7 will sport a 6.24-inch FHD+ display, same as the G7 Plus. The two devices will also share the same teardrop notch. At the bottom will be a bezel with the Motorola logo proudly resting. The G7 will be powered by a Snapdragon 632, the same SoC expected to be seen on the G7 Power. It’s interesting to note that, while the Snapdragon 632 should be behind the Snapdragon 636 in the Qualcomm pecking order, initial benchmarks have shown the opposite in performance. Camera-wise, the G7 will sport a (12 MP, f/1.8 + 5 MP, f/2.2) dual rear camera setup and a single 8 MP selfie camera with an f/2.2 aperture. The G7 will come in two variants: One with 3 GB of RAM and 32 GB of storage, and another with 4 GB of RAM and 64 GB of storage. A 3000 mAh battery will be found under the hood. NFC is a possibility.